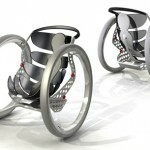 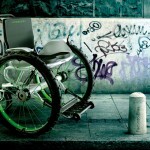 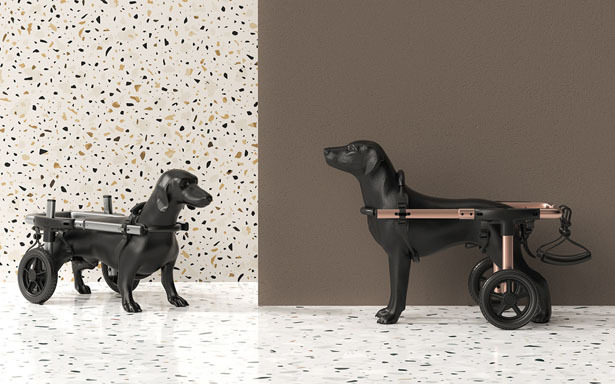 Petdali is a modern dog wheelchair that’s robust enough for outdoor use. 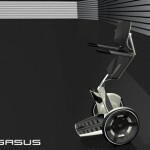 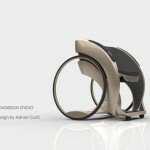 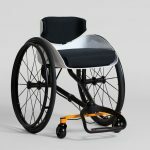 It combines aluminum, plastic components, and two wheelchairs, all of them together with good sense of design resulting in a beautiful pet wheelchair. 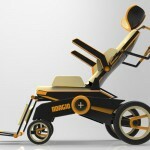 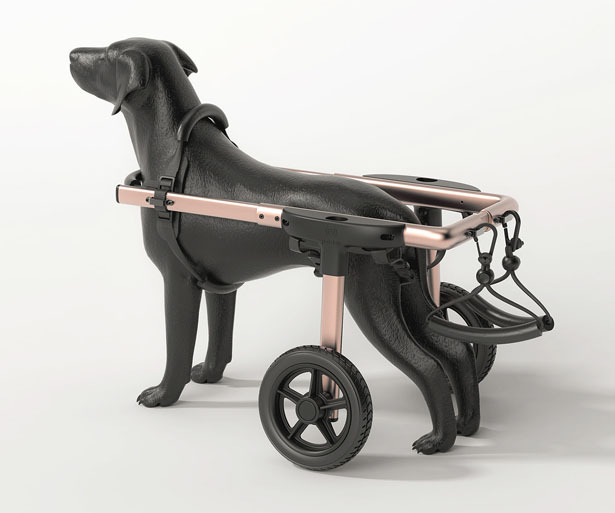 It’s a walking equipment designed for pets with hind limb disorders whether due to inherited or acquired disorders. 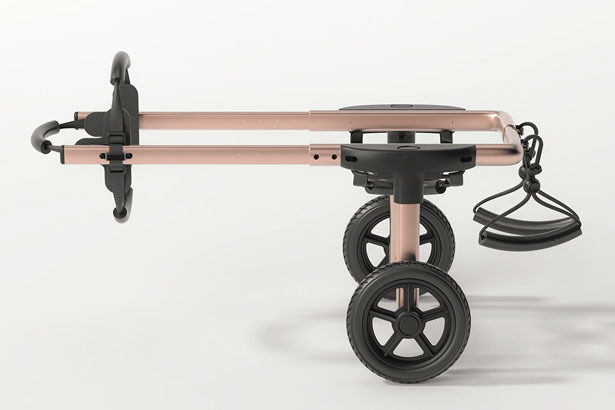 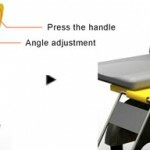 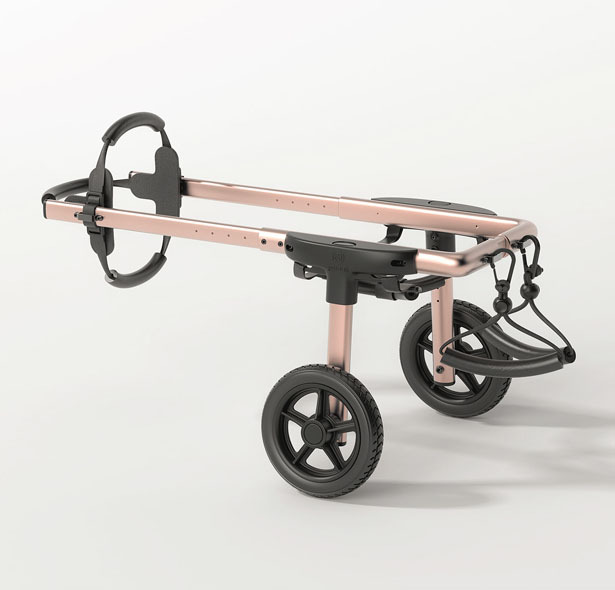 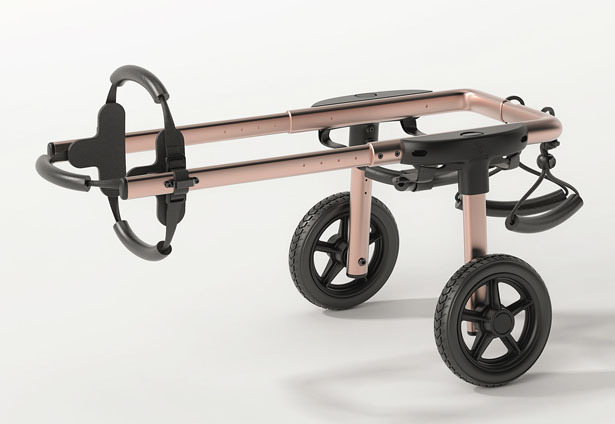 Designed by HS2 Studio, Petdali pet wheelchair support the hind legs, it is kept in place thanks to straps wrap around the hip and breast of the animal. 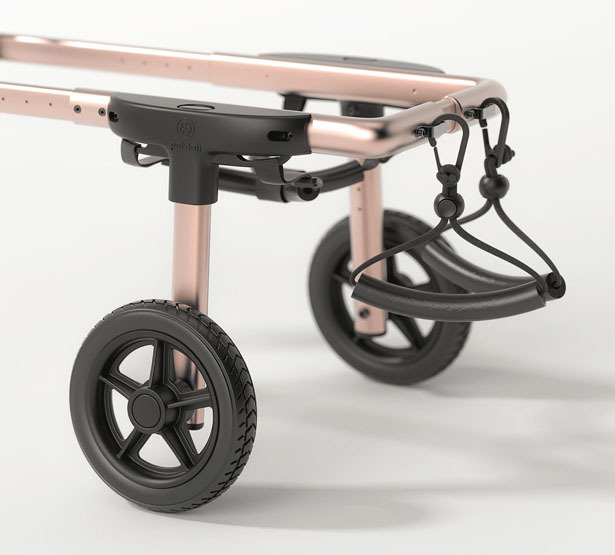 The frame is designed to be adjustable so that it grows with your pet, perfect for small to medium sized dogs. 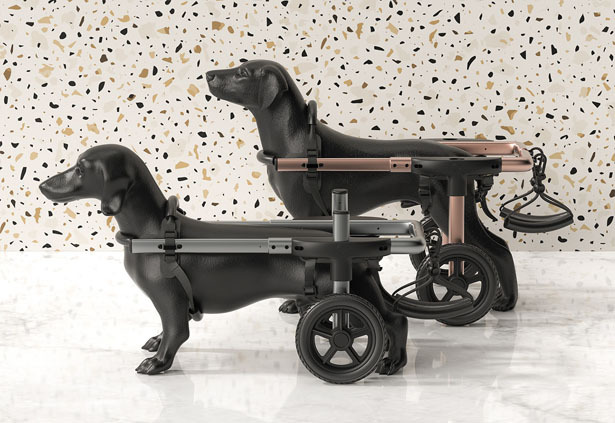 To keep your pet comfortable when using this wheelchair, the frame, which is in contact with the body, is covered with foam tubing to prevent irritability from long-term use. 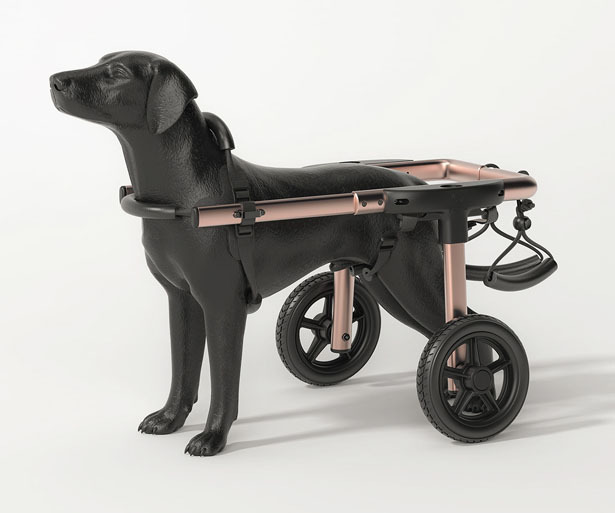 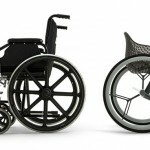 Tagged as aluminum dog wheelchair, modern pet wheelchair, pet wheelchair supports back legs.